New child support facts show that $35.1 billion in child support was owed in 2009 with fathers representing only 17.8 percent of custodial parents. Of the 11.2 million custodial mothers, almost 55 percent were awarded child support. Yet of the less than 2.5 million custodial fathers in 2009, only 30.4 percent were awarded child support. That is significantly down from 2007 when 40.4 percent of custodial dads were awarded child support. The latest report of child support facts is from 2009, the most recent data available according to the U.S. Census Bureau. 1. 13.7 million parents had custody of 22 million children under the age of 21. 2. 82.2 percent of custodial parents were mothers meaning only 2.44 million divorced dads are custodial parents. 3. Just 49.5 percent of custodial parents work full-time. 4. $35.1 billion in child support was owed in 2009 and 61 percent of that total was received. 5. 28.3 percent of all custodial parents had incomes below poverty in 2009. 6. The average amount of child support received by custodial parents who were owed support payments in 2009 was $3,630, or about $300 per month. 7. 60.3 percent of custodial parents received some type of noncash support from noncustodial parents, such as gifts for birthdays, clothes, groceries, etc. 8. 42.0 percent of custodial mothers received the full amount of child support. 9. 34.1 percent of custodial fathers received the full amount of child support. 10. 70.8 percent of custodial parents received at least some of the child support payment owed. PDF version of the full report. 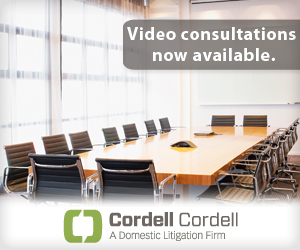 If you need help with a child support modification, contact the divorce lawyers for men at Cordell & Cordell. Use the Child Support Calculator on DadsDivorce.com for an estimated amount of how much child support you should be paying.